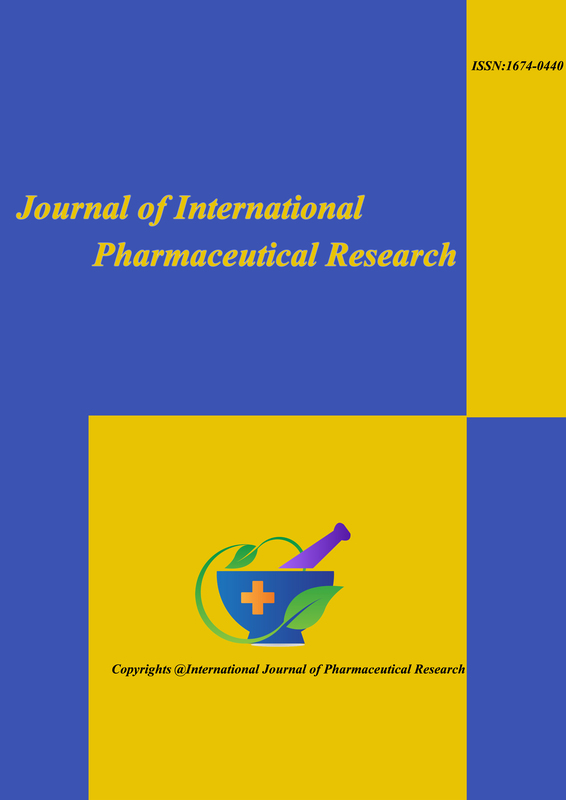 Journal of International Pharmaceutical Researchan International Journal of Pharmaceutical Research. People from various avenues of pharmacy profession, who have come together in a single platform to redefine the structure of pharmacy profession in the country, where it is seen only as an industry oriented profession. IJPR is peer reviewed online journal which is also available in print version. The motto behind the journal is to help students, researchers and scientist worldwide to benefit from the high quality peer reviewed articles and to their high performing works in the entire arena of pharmaceutical science. The Journal covers entire spectra of pharmaceutical research like conventional fields of Pharmaceutical chemistry, Pharmaceutics, Pharmacognosy and Pharmacology as well as those related to synthesis and processing of pharmaceuticals, molecular modeling, rational drug design, combinatorial and computational chemistry, characterization, toxicity studies, pharmacological evaluation, product development, industrial pharmacy, pharmaceutical technology, dosage form design, targeted drug delivery, stability of drugs, biopharmaceutics, pharmacokinetics, pharmacodynamics, pro – drug concept, pharmaceutical analysis, standardization and evaluation of raw materials and formulations, clinical pharmacy, adverse drug reactions, therapeutic drug monitoring, metabolic disposition of bioactive agents, pharmaceutical engineering, protein – peptide chemistry, biotechnology directly related to pharmaceutical technology, phytochemistry, phytopharmaceuticals, nutraceuticals, herbal drug research, phytopharamcology, regulations on drug development and any other novel vista in pharmaceutical research. Fully automated review process with Editorial Manager. Subscribe to our newsletter to be updated on latest news and Issues of IJPR.